The Syrian regular army and the National Defense Forces (NDF) militia have taken advantage of a recent large-scale campaign of airstrikes by the Russian Aerospace Defense Forces against terrorist hideouts in the northwestern province of Latakia, taking control of the Zahia Heights, just 2 km from the Turkish border, Fars News Agency reports. Syrian sources in the region told the news agency that Army units have captured the Zahia Heights, a strategically important mountainous area near the town of Rabia, while making "major advances" in other parts of the province, over the past three days, assisted by last week's intensified campaign of airstrikes by the Russian air contingent operating in the country. The combined efforts of the Syrian Army and the NDF have resulted in the destruction of several bands of militants, together with their commanders, while damaging command and control centers and destroying the terrorists' military hardware. The territories in the north of Latakia are predominantly controlled by the Jabhat al-Nusra terrorist group, also known as Al-Qaeda's Syrian branch. 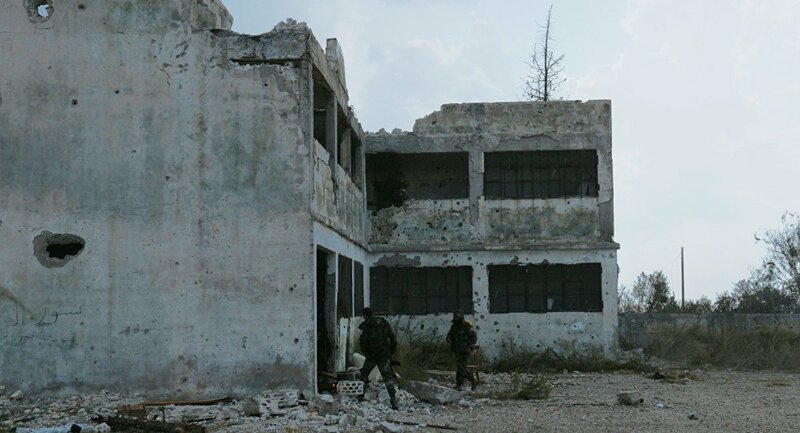 Militants from Jabhat al-Nusra and the Free Syrian Army, which is also believed to be operating in the area, are reported to have withdrawn from the al-Zahi Mountains and the town of Burj al-Zahi, with over two dozen militants killed. Meanwhile, Syrian Air Force planes have intensified their own campaign of air attacks in militant strongholds in the province, hitting positions in Dweir al-Akrad, al-Sheikh Yousef, Jabal al-Katf and Jabal Abu Hiddo, killing dozens of militants. Syrian sources also told Fars that Syrian troops have killed Zakaria Abdullah, a prominent al-Nusra commander based in the province. Elsewhere in northern Syria, in the nearby Idlib governate, troops from the SAA and the NDF are advancing toward the town of Jisr al-Shughur, located about 12 km from the Turkish border. The city is said to be controlled by a loose alliance of Islamist insurgents including Al-Nusra and the Ahrar al-Sham jihadist group.